Q-Bert 3 for Super Nintendo has you control the little orange blob as he jumps squares to get them to change to the correct color. 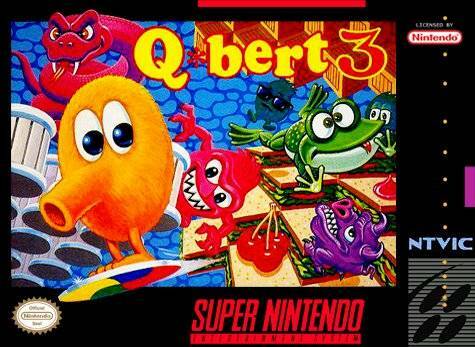 You will have to face Q*bert's classic enemies as well as some new bad guys. Since this is a new version of the game, there are fresh worlds to face, and some of them are on multiple screens. Get ready to take on 100 differently shaped playfields.